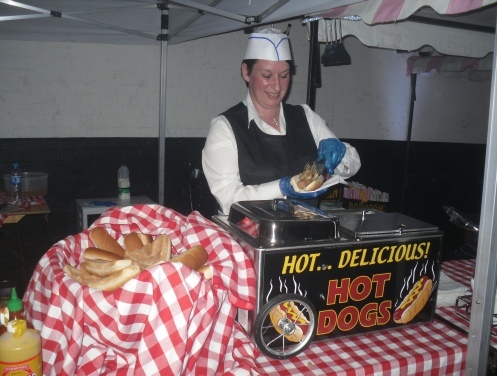 ﻿ Hot Dog Machine Hire. 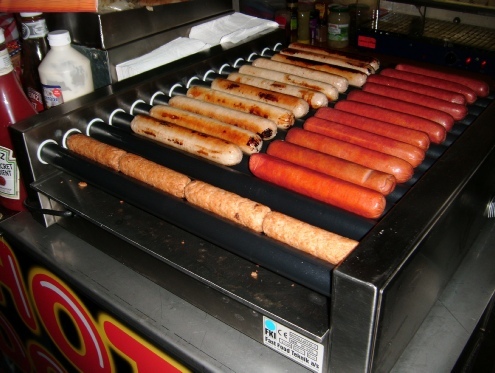 If it’s Hot Dogs you would like to cook we have various Hot Dog Machine Rental; Roller grills, Steamers, Fryers, turbo oven, even a street vendor cart which can be used with all the different cooking apparatus or if outside it can be fired up and used with it’s own gas power supply. 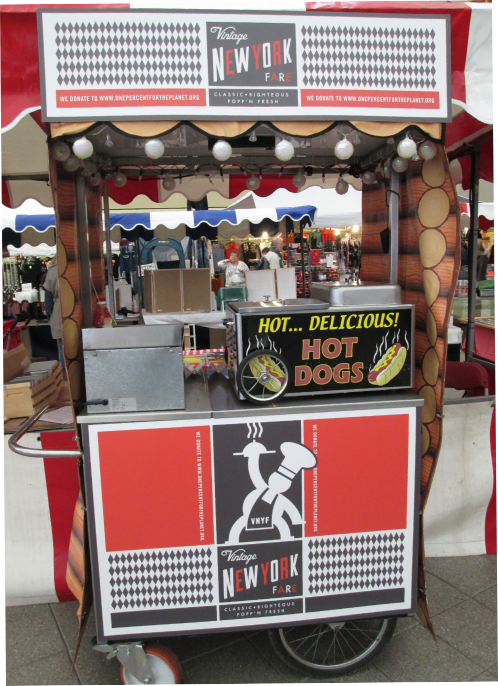 You will have to decide whether to use real sausages, bratwurst or frankfurters and then there’s the bread; will it be baguettes, bread, soft rolls or wraps? Onions can be cooked in the bain marie; steamer pan(s), in the fryer, or upon a small griddle. The vendor cart has a wok for frying onions. Hot Dogs Bratwurst (8 /10) in a jar. Hot Dogs Frankfurters (super size) 25 in a tin. 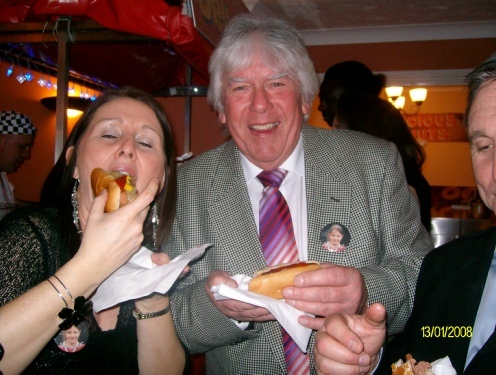 Hot Dogs Frankfurters (King size) 50 in a tin. Soft roll (sliced and frozen) x 48 in a box. Frozen and fresh sausages to order. Onions fresh or in packs (sliced and frozen). Sauces; tomato, mustard, brown, chilli, BBQ, Mayo, etc. Alexandra Palace, Business Design Centre, Emmanuel Centre, Bournemouth International Centre, Donington Exhibition Centre, Donington Park, Earls Court, Epsom Downs Racecourse, ExCeL, G-Mex Centre, Hilton Brighton Metropole Hotel, Drapers Hall, Manchester Central Convention Complex, Novotel London West, National Exhibition Centre, Old Billingsgate, The o2 Arena, Olympia, Queen Elizabeth II Conference Centre, Ricoh Arena, The Royal Armouries Museum, Sandown Park Exhibition and Conference Centre, Stoneleigh Park, Telford International Centre, The Brighton Centre, Cardiff International Arena.